For every day frugal living, you cannot beat the savings that are offered by Costco. Every Thursday, my frugal wife shops at Costco...right after visiting Goodwill for dollar day... Along with stops at selected grocery stores for purchases with coupons from the Wednesday newspaper. When it's Thursday I know a Costco rotisserie chicken will be on the table for dinner. I am not compensated in any way by Costco for saying this... We have paid for memberships as long as I can remember. How do you save at Costco? Despite having to fork out $50-$100 a year, for a membership... You should rapidly recoup the cost of your membership... With prices typically 30% below non-membership stores. You should do especially well by buying staples in bulk... Such as towels or toilet paper. Also there usually big savings on wine and beer, tires and batteries, books and software. When you join Costco you will find the optical shop as you walk in. Costco optical products and services are very highly rated by consumer groups. Did you also know that you can buy prescriptions at Costco ( Sam's Club too for this matter), without being a member? We have found the prices for prescriptions to be low at Costco. Recently, my car battery...purchased at Costco of course...died. I went to the battery section, where the tires are, and the cashier said take the old battery to customer service...little did I realize that I had a 100 month guarantee (they are usually 60 months now) and had purchased the battery 92 months previously...PRESTO I got a free battery. Do not worry about keeping receipts either, your purchases are all in their computer. Convinced now that you should join Costco?? 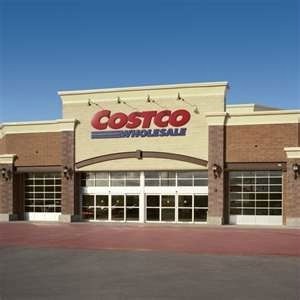 What's the downside to joining Costco? Remember you will not find everything cheaper at Costco... Costco does not honor coupons for instance. The only credit card they take is American Express... Otherwise it is debit card, cash, or check. Especially, on electronic purchases, you will not find the knowledgeable salesman like you will at Best Buy... You will need to do your research online...it is rare, although it occasionally happens, to find a Costco employee knowledgeable and of assistance when you're buying a camera, TV, computer etc. They will admit that their markup is never greater than 15% usually a lot less... So stop complaining about the concrete floors... You are saving money at Costco. You cannot beat their return policy... even on electronics, it is a 90 day return policy no questions asked... You can buy at Costco with confidence. When you join Costco and buy a large ticket items such as a television or computer, you qualify for Costco concierge technical help. For instance, if the manufacturers warranty is one year on a television... You can call Costco concierge service and get help very quickly from their US-based service center. I recently had a question in using Microsoft PowerPoint software which was preinstalled on a laptop I bought 20 months ago... The concierge service was fast, the service was helpful... join Costco, I can't recommend them enough.